For Mars, just having the Moon in an intuitive and imaginative part of your chart is a boost. 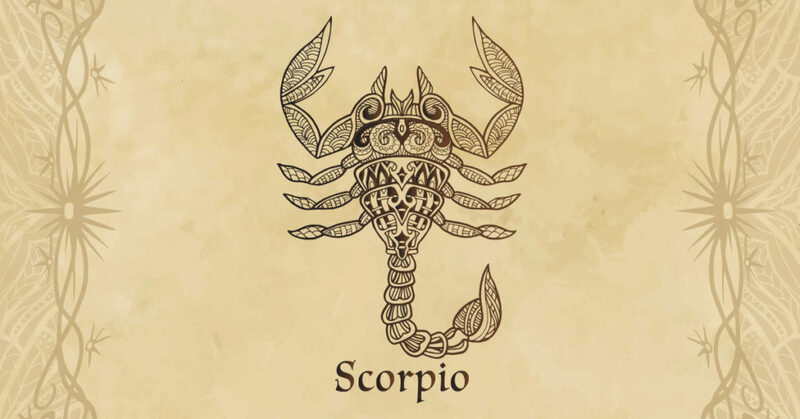 A friendly aspect to Mars in your financial sector is not just fuelling your financial confidence, instincts and imagination, but is adding fuel to his financial passions and fighting spirit. Yet as a Full Moon this is also a chance to push through old subconscious blocks or barriers. A matter that appears confusing or bewildering could be one that you feel determined to control and not involve others with. However, not only can those around you see what you see in this perplexing situation but they can also draw their own conclusions and come up with ideas about how to resolve it. It shouldn't be entirely up to you to do so and if you allow others to share their input, then, together, you can put this to rest in no time. In some ways, you won't hesitate to step in and offer assistance to a loved one or a potential partner. However, you might also struggle to accept the fact that they've either created a situation themselves that they must deal with or that could involve you going above the call of duty by involving yourself. For now, it might be best to offer words of advice or support rather than actions. This may also help a loved one to learn a valuable lesson that can be applied in the future. Just as Mars, energised by yesterday's Full Moon is even more determined to see you take your financial power back, an opposition with Ceres in your income sector might create some financial tension. However this is Mars, warrior planet of the cosmos, who thrives on anything that can add fuel to his financial passions and fighting spirit. Farcical situations, ludicrous challenges and ridiculous dramas could find their way into a particular relationship or commitment. Initially, these may appear to be connected to a serious matter but closer examination could reveal that there's something almost laughable about the way pressure is increasing in your world. However, if you can try to see the funny side or focus on what really matters and ignore what's superfluous, you'll overcome this admirably! The conditions couldn't be better for Jupiter as he moves into his first full week in retrograde motion in your income sector, which bodes well for the coming months. Jupiter begins the week aligned with the Sun, now in his final days in your work sector. As you also start the week with the Moon in your career sector and at a friendly aspect to both, the week gets off to a stunning start across the income, work and career fronts. While the Moon will be gone by Tuesday, you begin the week with your professional instincts and imagination fuelled and with a better read on the dynamics in play across the income, work and career fronts. As Jupiter turns back in order to retrace his steps and to ensure no stones have been left unturned, the message from the professional gods is, 'we have your back'. With income forces taking the road behind, this frees Mars to move money matters as a whole forward. The New Moon on the 5th can be helpful with getting certain priorities in order. You're assisted to separate what gives a good impression of being important or urgent from what truly deserves your attention. Applying imagination to certain habits or routines you introduce or put in place at this time can boost your efficiency tenfold! 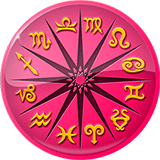 Mercury arrives on the scene on the 17th to streamline your thinking and transform routines that have become tedious into something more inspiring and motivating. Jupiter's four-month slumber commences on the 10th and offers a chance to reevaluate your earnings, material possessions, and personal values. Your relationship with money can alter by exploring new ways to save, invest, or make more of it. This month, you could focus intently on what you believe is missing in your emotional world or lacking in a special connection. On the flip side, you could wish something was removed from your world, perhaps believing life would be simpler and happier without it. However, what you're granted this month an exceptional opportunity to be happy. To seize and benefit from this, avoid paying too much attention to what you sense is wrong in your love life. Resist any tendency to be overly cautious or pessimistic. If you can relax and believe wholeheartedly that an uncertain situation can and will improve, then you could be surprised at how much quicker happiness finds its way to you. While the dynamics of your financial year shifts this month, it is temporary and also comes with perfect timing. There are two money houses, your income and your financial sector. Where your income sector is focused on money coming in, your financial sector is focused on what you do with the money you have. This year is dominated by Jupiter, the planet of luck and expansion's position in your income sector from November 2018 to December 2019, making this a massive year for income growth. While this isn't giving money matters much of a look in, this was always going to be a three phase journey. The first phase is all about getting as many options on the table as possible. The second phase is when Jupiter turns retrograde, with a chance to spend four months in review, standing back and letting things settle. The third phase begins when Jupiter turns direct in August, which is when he wakes up and begins the process of bringing things home and it is those final four months that are likely to be the most lucrative. This month we enter the middle phase, with income matters moving into review phase and this is when money matters get their turn. While Ceres won't turn retrograde in your income sector until 9th April and Jupiter until 11th April, they are already slowing to a crawl, while Mars has already returned to give money matters their turn. It began with Mars' return to your financial sector in the final hours of March, with 1st April the warrior planet of the cosmos' first full day here. Had income matters not been slowing down and moving into review phase, there would be more competition, but this suits Jupiter and his long terms plans for income growth just fine. Not leaving until 16th May, just days before the Sun's return, Mars will spend the whole of April in your financial sector, fuelling your financial passions and fighting spirit as he fights to see you take your financial power back.